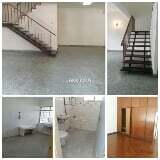 Double storey house taman tan yew lai old klang road kulau Lumpur for sale selling price RM760k nego. New Luxury 3 Storey Bungalow In Taman Yarl OUG @ Old Klang Road. Very nice deal 7Bed 5Bath coming wi. Single storey house at taman shanghai -----------------------------------------------------------.